With the change of the seasons also comes changes in shopping trends. If your a smart consumer (like we know you are) you’ll be ahead of those curves in time to capitalize before you miss out and if your a business you’ll want to make sure you’re aware of shopping trends so you don’t get left in the dust by your competition. Well… the experts have consulted their crystal balls and honed in on this springs top 5 shopping trends that will drive consumer spending. Major retailers of apparel and accessories may increase slightly in 2015 but as Bloomberg Intelligence reports there is a lack of a major fashion trend this season that will most likely prevent any large surge in sales. On the other hand, people still have to wear cloths. In recent months we’ve seen consumer spending toward sporting and athletic apparel rise as consumers shy away from more fashion related items and accelerated sales and profit margins can be seen in retailers such as Puma, Saucony & Quicksilver. Theres no question that Americans are most definitely hurling towards a virtual world of shopping thats being dominated by the online market place. It’s only fitting that in 2015, on e-commerce’s 20th birthday, we rehash the discussion of it’s sizable market share. 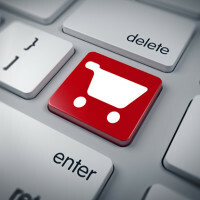 Recent research by Forrester shows that nearly 70% of all Americans regularly buy products online. Not only that, but those that do shop online do over 16% of their shopping in this manner. Were not saying that large retailers will be closing their doors anytime soon but we can tell you that last holiday season, retailers received about half of the foot traffic that they saw in 2014! If you need further proof, look at stores like American Eagle which plans to close 15o stores over the next year. The age of technology is upon us. 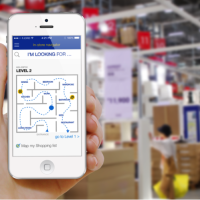 In order to compete with the rising trends in online shopping, retailers have started to enhance their in store shopping experience by placing tiny beacon sensors that are embedded throughout their displays. This will allow consumers to use their mobile devices through low energy Bluetooth signals to create a more interactive in store shopping experience. Although we’ve seen similar technologies rise an fall over the years, experts predict that these Bluetooth beacons will gain momentum over the next 12 months. 4. The Mainstreaming of the Health and Wellness Movement Will Be Exploited. Driven by consumer demand for more natural products with less additives, the health and wellness movement has transformed from a fad of higher priced groceries and yoga mats into a conscious effort by consumers who have become increasingly sophisticated about what they choose to put into their body. This has created a cross section of shoppers that want more than just fresh vegetables and clean gyms. Consumers can expect many new options from products and brands that go beyond the traditional “health kick” product. 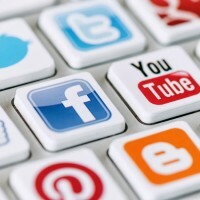 If your in business today you most likely have a social media presence. You use sites like Facebook & Twitter to market your products and interact with consumers but at the end of the day you still have to get the consumer off the social media site and onto your website in order to make a purchase. We predict that in the coming months that should all change. Facebook and Twitter alike have just launched new “buy” buttons for consumers and Instagram’s new Like2Buy platform is about to let consumers start purchasing products based on the images they see in their feed. In fact, major retailers such as Nordstrom and Target are already testing out these new options.